Kroger is an American retail company founded by Bernard Kroger in 1883, headquartered in Cincinnati, Ohio with the motto of “Be particular. Never sell anything you would not want yourself.” The Kroger Co. was started by the son of a merchant, who invested his life savings of $372 to open a grocery store. After 130 years of successful business, Kroger today ranks as one of the world’s largest retailers, operating either directly or through its subsidiaries with 2,782 supermarkets under a variety of local banner names, of which 2,268 had pharmacies and 1,489 had fuel centres, 319 fine jewellery stores, 784 convenience stores, an online retail store, as well as franchised 69 convenience stores as of February 2018. The Kroger Co. not only operates as a retailer but also delves in manufacturing and processing of food for sale in its supermarkets. It runs retail food and drug stores, multi-department stores which encompasses many other merchandise. It employs approximately 449,000 staff as of 2018. 2. In-Store Health Clinic Programs and launch of Kroger Persona Finance(KPF) hold strong potential opportunity. 1. Leading player in the American Market: Kroger is one of the world’s largest retailers, as measured by revenue in 2018. The company operates 2,782 supermarkets under a variety of local banner names in 35 states and the District of Columbia. Amongst these, 2,268 have pharmacies and 1,489 have fuel centres where customers can gas up their vehicles during shopping excursions. In 1972, Kroger became the first grocery retailer in America to test an electronic scanner. Also in the ‘70s, the supermarket became the first grocer to formalize consumer research, interviewing 4,000 shoppers the first year. Approximately 33% of “Our Brands” units and 44% of the grocery category Our Brands units are produced in the 37 food production plants, primarily bakeries and dairies. The remaining brands items are produced under stringent specifications by third party manufacturers. Apart from the primary stores and channels, the company operates 782 convenience stores, either directly or through franchisees, 274 fine jewellery stores and an online retailer. Kroger offers a wide spectrum of store formats to gratify all kinds of shoppers. Their formats include supermarkets, multi-department stores, Marketplace stores, price-impact stores, and fine jewellery stores. 2. Growing Market Share: Kroger’s overall market share grew approximately 21 basis points in 2017 – a slight acceleration over last year’s growth of 16 basis points based on IRI’s calculations. Kroger’s 2017 gain was about 2-tenths of a per cent nationwide. Apart from Seattle, Kroger has not lost market share in any of the 10 cities where it primarily operates. Having a clear vision and strategy it is also expected that the market share of the grocery market will grow further. 3. Strong Innovation and personalisation: Kroger has long been a leader in customer satisfaction by creating unique, personalized shopping experiences that drive loyalty. 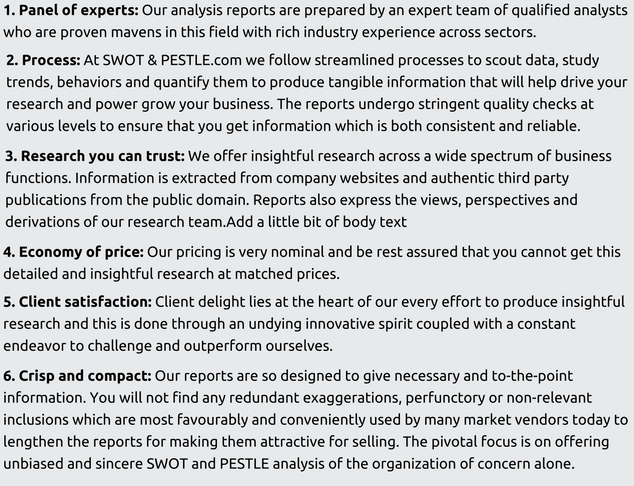 The company delivers more than 3 billion personalized recommendations to customers. The company expanded their digital coverage area and enhanced the digital shopping experience to provide customers with relevant products, recipes, digital coupons, weekly ads, smart shopping lists and more. Kroger leverages the science behind Customers’ decision-making process to design educated space-planning that optimizes shelf space allocation and assortment, and improve in-stocks, ensuring customers have easy access to the products they desire. Kroger continues to take steps to remain at the pinnacle of a tight market with its path in innovation through new ideas and partnerships. Kroger has partnered with the University of Cincinnati to operate an innovation lab inside of the school's 1819 Innovation Hub. In May, the company signed an exclusive deal with Ocado to bring its automated facilities to the U.S. and help Kroger lead the competitive e-commerce space. 1. Political unrest in California: One of the major incidents which has stirred great unrest is the California shootings and constant terror threats which have become a dime-n-dozen in recent times. This has affected the retail market over the past few years. Recently in October there was also a situation seen of shooting at Kroger store. Such incidents affect the operations as well as employees in the stores, thus affecting the business as a whole. 1. Zero hunger Zero waste program: Kroger strives to bring in positive impact on the communities in which it operates. This includes $181 million in giving to end hunger, including food donated through “Zero Hunger Zero Waste Food Rescue” program and funds directed to national partner Feeding America and other organizations. The company plans to add 10 Million dollars in its Zero hunger zero waste innovation fund. The company is working closely with ReFED, a multi-stakeholder nonprofit organization focused on food waste reduction for governance and operations of the innovation fund. 2. Reduction in waste: With a strong focus on achieving zero waste for several years, Kroger has been using a variety of reduction and recycling initiatives. The in-store plastics recycling program accepts clean and dry plastic shopping bags, bread and produce bags, bottled water case wraps and bathroom tissue and diaper plastic over wraps. There has been rising adoption of zero waste practices by Kroger manufacturing facilities so that 34 of the plants are now directing more than 90% of waste from landfill. In 2017 the company has saved 77% of waste from going to landfill. 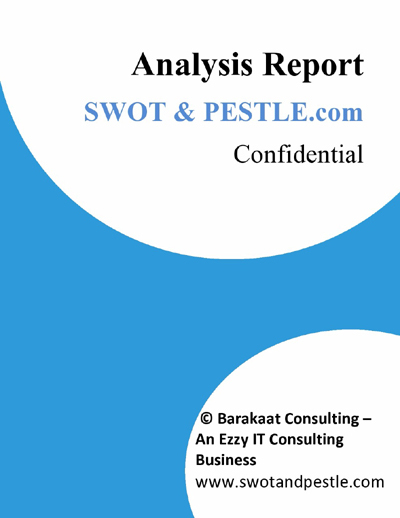 Kroger SWOT and PESTLE analysis has been conducted by Bhaswati Talukdar and reviewed by senior analysts from Barakaat Consulting. 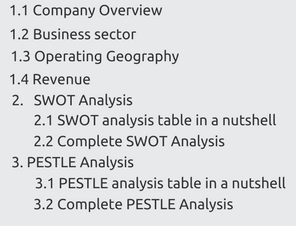 Copyright of Kroger SWOT and PESTLE Analysis is the property of Barakaat Consulting. Please refer to the Terms and Conditions and Disclaimer for usage guidelines.